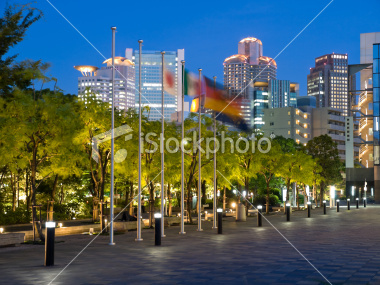 Trees of the Umeda Sky Building park illuminated in the foreground with Osaka skyline in the background in the evening. 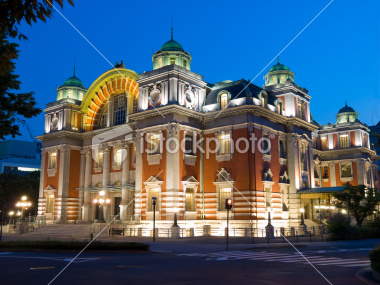 Osaka Central Public Hall in Umeda, Osaka city, illuminated at night. 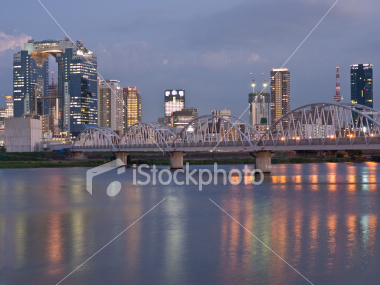 Night scene of bridge crossing Yodogawa river with reflections on the water and Osaka city skyline with the Umeda Sky Building in the distance. These high rises are part of Umeda which is the central business district in Osaka city. 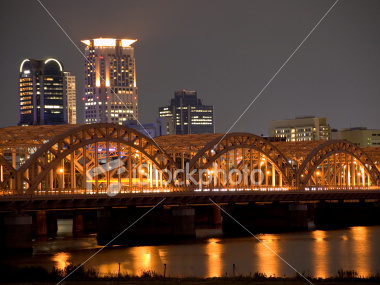 Illuminated bridge crossing Yodogawa river with Osaka city skyline in the background.